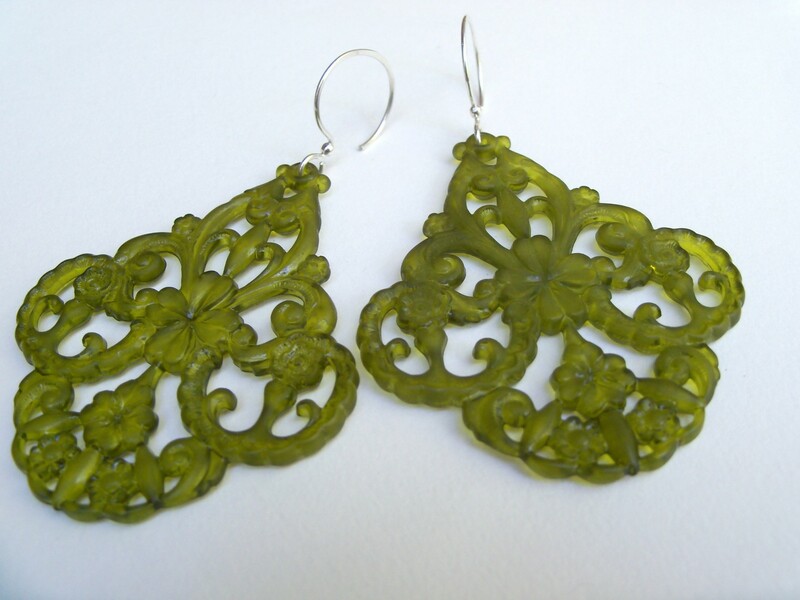 MiShel Designs: Green with Envy! 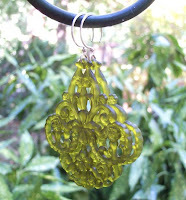 Ooohhhh,...I'm loving these gorgeous Green, Vintage Inspired, Lucite earrings from LilyLeighs!! They're oh so HOT - don't you think?!! 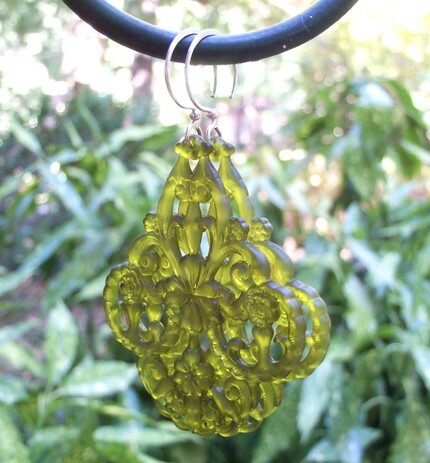 These fab earrings are perfect for all the great fall styles out right now. We can definitely see these lucsious green beauties paired with a striking camel colored coat, cream scarf and lace-up boots (for that super Army look everyone's tapping into) providing you with a very polished, vintage inspired and romantically bold fall and winter staple in your wardrobe! They have also been featured in this Etsy Treasury - Go Check It Out!! Peace, Love and I'm Green with Envy!! Planning to stop your shop for some earwires soon. You do a great job.